In February this year, Clutter lept onto the web with all eight legs. 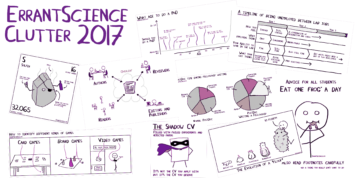 Since then, we’ve featured blog posts from 10 lovely guests, on wide-ranging topics all the from troublesome fellowship applications to science tabletop gaming. 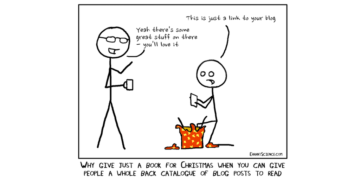 Below is a round-up of this year’s fantastic guest posts. But we would love to have more for next year! Would you like to write for us in 2018? Please get in touch – we’d love to hear from you! 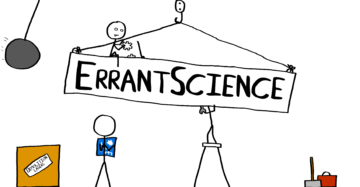 ErrantScience, unlike the rest of the world has had a good year. If I was to sum up this year on ErrantScience in one word it would be “social media”. You may argue that “social media” is two words but again if we’ve learnt anything this year it’s that social media is not very picky about ‘facts’.